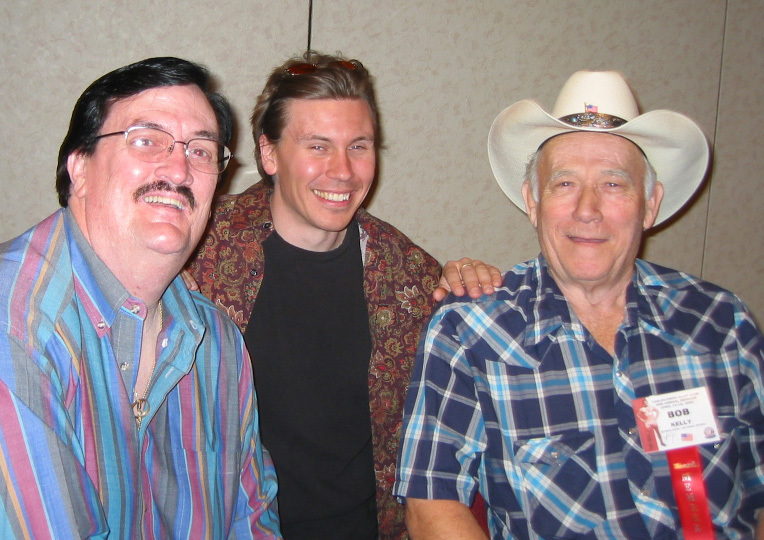 Today is the one year anniversary of the death of my dear friend Bill Moody, whom many of you knew as Percy Pringle and Paul Bearer in WWE. There will never be another Bill Moody. I miss him like crazy. In the photo posted above, you will see Bill, myself, and Gulf Coast wrestling legend “Cowboy” Bob Kelly. Bob was a childhood hero to Bill, and he was very happy to call him his friend (as am I). Bob lost his wife of over 50 years, the wonderful Chris Kelly, just a few months back and is still dealing with everything. As you take a moment to think about Bill Moody, do say a prayer for Bob and Chris, too. I know they would appreciate it. I wish like anything I could be down at the Gulf Coast Wrestler’s Reunion this week to be with my old friends in Mobile, Alabama. Alas, fate has other plans for me. But I am sending all of my very best thoughts to all of you as you celebrate all your memories and years of kinship. Just save me some banana pudding, if you will.